It must have been very rare for us hearing “commodification”. What is “commodification” exactly? Commodification is derived from two words; “commodity” meaning goods or services of economic value and “modification” meaning changes in function or form of something. Therefore, “commodification” means to treat the products as a commodity whose ultimate goal is to be traded or changing something into a commodity (merchandise) that can be traded. The commodification cannot be separated from the understanding of capitalism which is always hooking everything is related to profit and loss. Commodity is defined as a result of production that is made to be exchanged in the market. In other words, the commodity is anything that is produced for sale. The commodification is believed to increase the number of applicants and is expected to improve the local economy. Regarding this topic about “commodification” is furthermore discussed in the journal entitled "Commodification of Crafts in Bali" written by Ni Luh Sutjiati Beratha, Ni Wayan Sukarini, I Made Rajeg, and I Made Netra. This paper aims to describe types of Balinese craft, and cause of commodification, especially regarding craft that has experienced dynamics from its original as a result of order (made to order) since the process of commodification occurs. Beratha stated that crafts in Bali were originally considered sacred, but now has been turned into a commodity. In terms of size and coloring Balinese craft has changed as anyone can order it. For instance, Garuda statue which was once sacred has now become a commodity. Currently the statue has become a decoration that can be bought by tourists because of the influence of tourism. Some aspects have changed, like the shape, material, size, color, and making methods, for instance. Changes or the commodification made for craft products by Balinese artists as a result of the order (made to order), were resulted from two factors: internal and external factors. The later was due to crafts made to order from a customer which generally correspond to the market tastes. In addition, there was also a production pattern and tourism impact. As for the internal factors, the craftsmen in Kedisan, Ubud, and Celuk villages used their imagination to innovate creatively and create new designs of sculptures, panels, mirrors, jewelry, and paintings. They seemed to always follow the market tastes, making their product favored by consumers so that they could produce on a large scale. Results of research conducted by Beratha, et al. (2015) about the implications of made to order in Balinese culture showed that the number of traditional sculptors in Bali was very few. Currently, most of the sculptors use machines to complete the order. It is caused by several factors; time, the number of orders, prices, types of wood (material), etc. Beratha, who is also as dean of the Faculty of Arts Udayana University, stated that to avoid and minimize the commodification process, preservation of Balinese crafts is needed, so the authenticity or originality can be maintained. One of the strategies is to do the preservation of Balinese culture and make regulations issued by the local government of Bali. If the regulation existed, the sculptors or artists would be guided to the contents of the regulation. In addition, Ardika (2008) stated that minimizing the number of commodification could be done by: (1) increasing public awareness in Bali in exploring local wisdom, and preserving religious values ​​and aesthetic culture of Bali, (2) making local regulation as a framework laws that must be obeyed to protect, conserve, and prevent the commodification of Balinese culture, primarily related to the attraction, (3) providing tourist information for both parties (the tourists and the tourism industry) about the values ​​religiosity and aesthetics of Balinese culture, and (4) patenting the craftsmen or artists’ works, or registering the copyright to avoid impersonation or forgery. The journal "Commodification of Crafts in Bali" stated that the process of crafts commodification in Bali was caused by two factors: external and internal. The former led to the dynamics or changes occurred due to consumer demand, tastes (trend) market, tourism and economic conditions. Customers were generally coming from a company which expected to provide satisfaction for its customers; therefore, the quality, price and variety of the products ordered were considered as the main objectives. The success of creating new forms with a wide variety of art products was the result of joint innovation between sellers and consumers to obtain large orders and to get as much profit as possible. 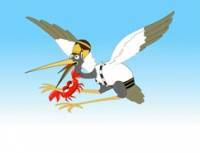 Besides, the development of tourism is also greatly affected the world economy. If the world economy was stable (no global crisis), the production of craft products developed in Kedisan, Ubud, and Celuk would run well, shipping orders could be made every month according to the number of orders used to in a large quantities (over a thousand) that will be sent to Europe and America. The global crisis was characterized by a decrease in the number of orders or requests, and it was probably caused by the collapse of their trading partners in Europe and America so that the production process disrupted. 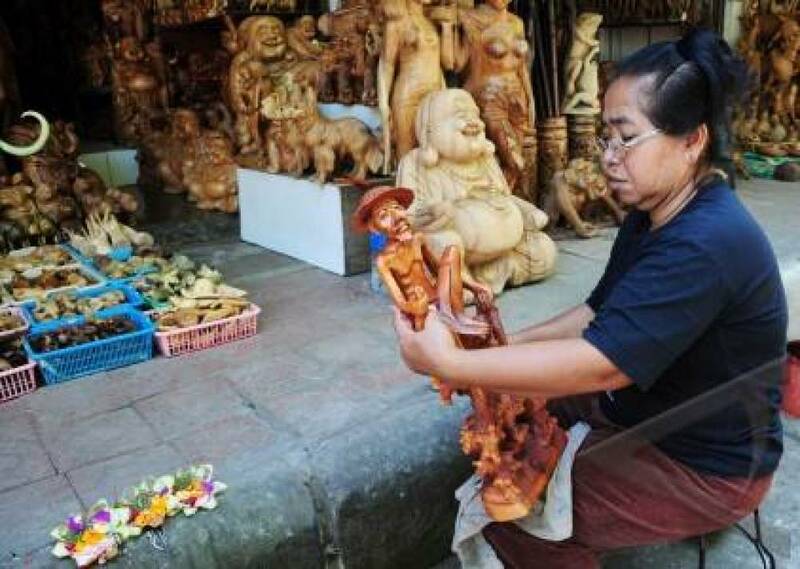 The decline in travel quality could also affect the production of crafts because although the number of tourists coming to Bali remained abundant, but their purchasing power was very low, this condition might also lead to a lack of orders. Meanwhile, the internal factors were from the craftsmen’s desire to innovate by using imagination in creating new creative designs of their original products to avoid boredom or fatigue. In addition, the economic factor was also the trigger for artists to continue to innovate, be creative in creating new designs; therefore these products could be sold in the market. Tourism can cause the process of commodification of the local culture because culture is considered as an object that has an appeal to be consumed by tourists, which then undergoes the process of commercialization.